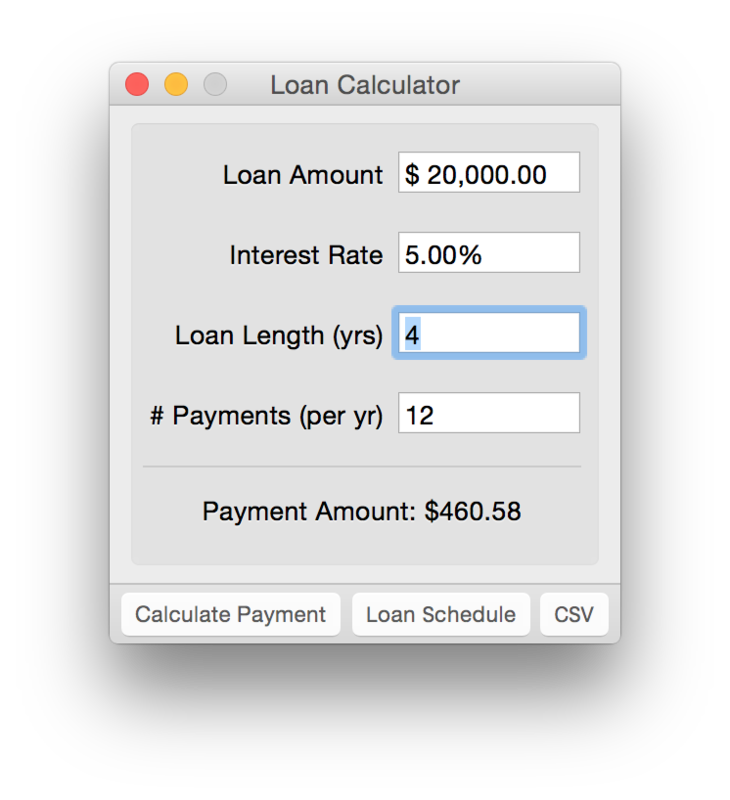 This is a great loan calculator that has been available for years on the Mac platform. Updated with printing. Great for calculating payments on home mortgages, auto loans, student loans, and more. 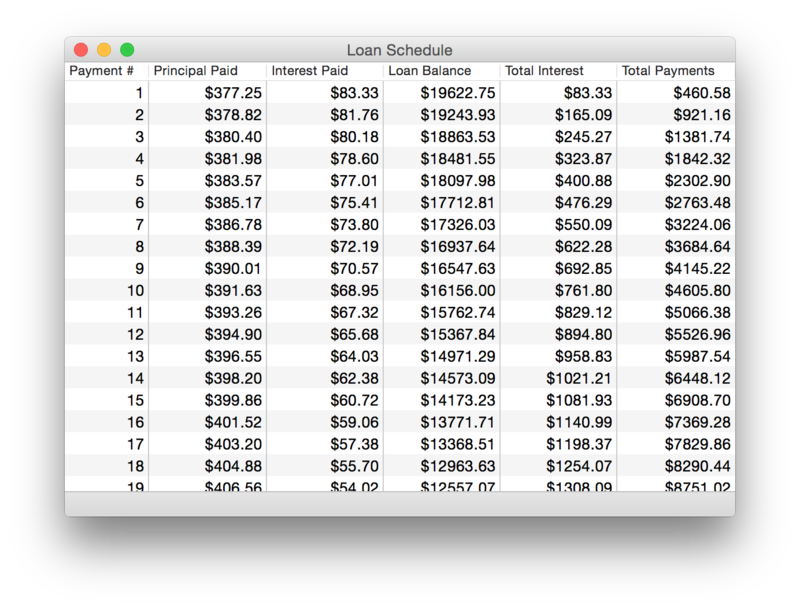 Loan Calculator is available on the Mac App Store. Added support for decimal years.